Indulge your meat-lovers with the genuine, traditional Italian taste of this Citterio mortadella with pistachio. This fine quality mortadella is deliciously seasoned with accents of pistachios and a lightly spiced, fragrant aroma. 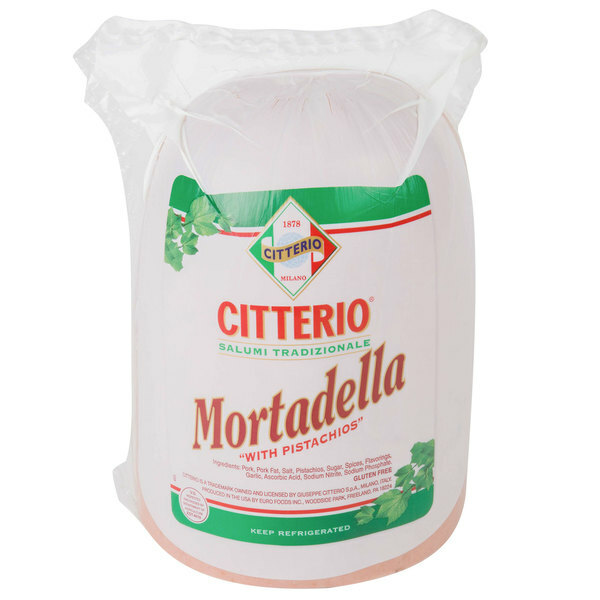 With its well-balanced, delicate taste and velvety, melt-in-your-mouth texture, this mortadella is a great addition to any deli selection. Use this meat to artfully craft gourmet sandwiches at your deli or Italian bistro, like a fried mortadella sandwich with provolone cheese between brioche, or a traditional muffaletta. You can even use to create unique pizza offerings or for creating savory Italian-style pasta salads. 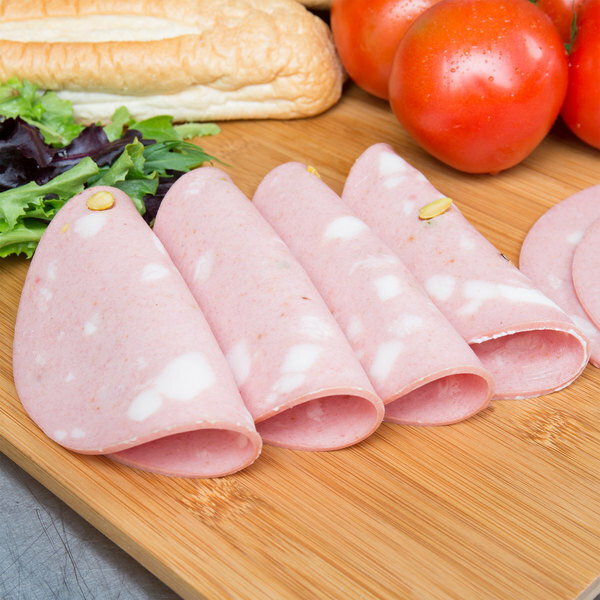 This mortadella is made from finely ground, premium pork meat with pistachios and gently oven-roasted to produce a rich, authentic Italian meat flavor. Versatile in application, slice thin for sandwiches, antipasto platters, or to sell by the pound, or cube to incorporate in a variety of salads or for serving with cheese on a deli tray. 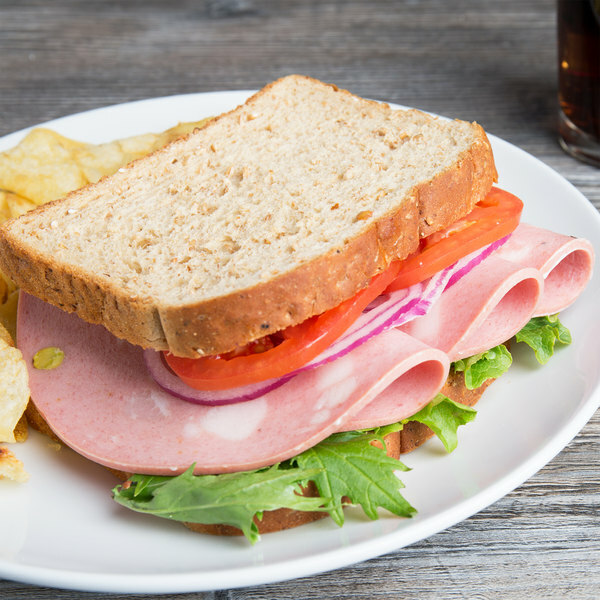 Richer in taste than american bologna, this mortadella is crafted using old world Italian methods for a truly premium product that will have customers ordering again and again.